Clemens And Bonds Put On Baseball Hall Of Fame Ballot : The Two-Way Their inclusion puts the sport's steroids era on many minds. Though the stars have fought allegations that they used performance-enhancing drugs, it's questionable whether they'll be elected to the Hall anytime soon. Roger Clemens and Barry Bonds — two of baseball's greatest players and two who have long been accused of having used performance-enhancing drugs — are on the 2013 ballot for inclusion in the Baseball Hall of Fame. Barry Bonds rounding the bases after hitting his 734th home run in 2006. The Baseball Writers' Association of America announced at noon ET the names of the retired players its members will consider. Also on the ballot for the first time: Slugger Sammy Sosa, who spent most of his career with the Chicago Cubs, and former Houston Astro Craig Biggio. A player isn't eligible for consideration until he's been out of the game at least five years (Pittsburgh Pirates star Roberto Clemente is an exception; he was killed in a 1972 plane crash and elected to the Hall the next year). Among the players who have been on previous ballots and will be considered again are Mark McGwire, Rafael Palmeiro and Jeff Bagwell. As the Baseball Writers' Association reminds us, Clemens' statistics place him among the greatest pitchers to have played the game. He "compiled a 354-184 record with a 3.12 earned run average and 4,672 strikeouts over a 24-season career, was the recipient of eight BBWAA awards, the most by any individual player. He was the American League Most Valuable Player with the Boston Red Sox in 1986 and won the Cy Young Award a record seven times — in the AL with the Red Sox in 1986, '87 and '91; with the Toronto Blue Jays in 1997 and '98; with the New York Yankees in 2001 and in the National League with the Houston Astros in 2004." 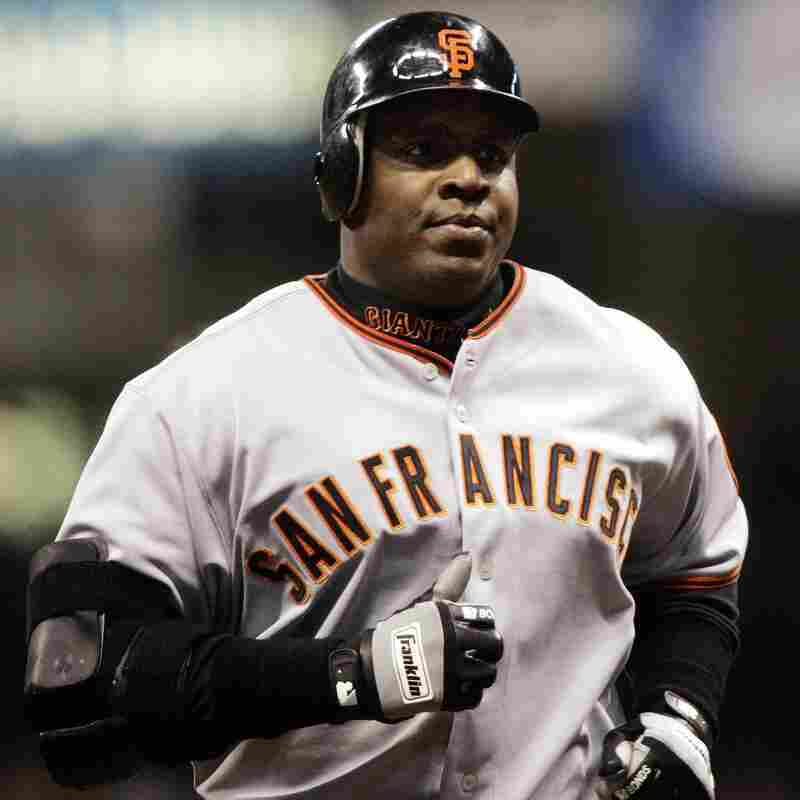 Bonds holds "baseball's single-season home run record holder with 73 in 2001 and [is the] all-time home run leader with 762 over a 22-season career with the Pittsburgh Pirates and San Francisco Giants. ... [He] was the MVP of the NL seven times, more than twice as often as any player in history, including a record string of four victories from 2001-04 with the Giants. Bonds also won with the Giants in 1993 and with the Pirates in 1990 and '92. He finished second in the voting in 1991 with the Pirates and 2000 with the Giants." But as The Associated Press writes, Clemens, Bonds, Sosa and some others come to the ballot with "a lot of the sport's biggest baggage. Bonds, Clemens and Sosa each posted huge numbers, but all were tainted by accusations that they used performance-enhancing drugs." They have also fought the allegations. The conventional wisdom on sports talks shows is that Clemens and Bonds will not get into the Hall anytime soon. We asked in June if Clemens should be in the Hall, and the response from Two-Way readers was "no" from 45.4 percent, "yes" from 42.69 percent and "yes, but not in the first year he's eligible" from 11.91 percent. Should Barry Bonds be in the Baseball Hall of Fame? Baseball's steroids era will be on many minds at noon ET when the names on the Baseball Hall of Fame's 2013 ballot are to be announced. Among those eligible to be included for the first time: Sluggers Barry Bonds and Sammy Sosa, and pitcher Roger Clemens. As The Associated Press says, "all were tainted by accusations that they used performance-enhancing drugs" during their careers. Last year, slugger Mark McGwire — who has admitted he used steroids during his career — fell far short of getting enough votes to be elected to the Hall. Though Bonds, Sosa and Clemens have fought allegations that they too used performance-enhancing drugs, the conventional wisdom is that they won't get into the Hall either anytime soon. "Provided that they remain retired, the following is a partial list of former Major League ballplayers who will become eligible for consideration by the BBWAA for election into the Hall of Fame in upcoming years. Players who are eligible have played 10 seasons of Major League Baseball and have been retired from for five full seasons. For example, those players eligible for consideration in 2013 will have played their final game in 2007. Those players eligible for consideration in 2014 will have last played in 2008, etc. "**The following players received between 5 and 74 percent of the BBWAA vote in 2012 and have appeared on no more than 14 previous BBWAA ballots, making them eligible to return to the 2013 ballot: Jeff Bagwell, Edgar Martinez, Don Mattingly, Fred McGriff, Mark McGwire, Jack Morris, Dale Murphy, Rafael Palmeiro, Tim Raines, Lee Smith, Alan Trammell, Larry Walker and Bernie Williams."